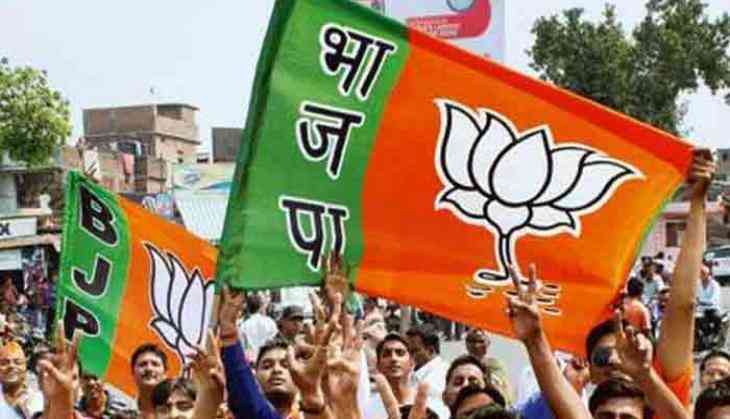 Amid factionalism and hurdles in its mass outreach programme, the West Bengal unit of the BJP, which has set a target of winning over 23 of 42 Lok Sabha seats in the state, is carrying out a survey to assess the winnability of its candidates. With more than 60-70 aspirants throwing their hats into the ring for one seat, especially in the northern and southern part of the state, the party is grappling with internal dissent over ticket distribution. Several factions, including the ones led by leaders who switched to the BJP from the TMC, are staking claims to the same seat, forcing the state unit to seek an assessment of its candidates to meet its 23-seat target, set by the party's national president Amit Shah. "It is unprecedented that we have been receiving such a huge number of applications for some seats. Ten years back, we used to have a tough time convincing people to contest on our ticket," a BJP state unit leader said, adding that a section of leaders has appealed to the central leadership to ensure that old timers don't feel sidelined. The state unit, in consultation with the central leaders, has roped in an external agency to assess its prospects in the Lok Sabha constituencies, he said. BJP national general secretary Kailash Vijayvargiya told PTI that a candidate list will be prepared based on inputs by the external agency and the party's senior leaders. "We have launched both external and internal surveys to assess the winnability of seats and candidates. The survey will cover aspects such as a candidate's potential in winning a seat and his popularity. Based on inputs from the internal survey and the external agency, we will prepare our list," he said. Asked about internal dissent, Mr Vijayvargiya said the BJP is a disciplined party and once the names of candidates are announced, every member will work to ensure their victory in the elections. According to sources within the party, the state unit will send names of at least three candidates for every Lok Sabha seat to the central unit, which would then take a final call on the matter. BJP state president Dilip Ghosh claimed that the party is putting in equal efforts in all constituencies, notwithstanding its target of winning at least 23 seats. "Our party president had given us a target of 23 seats, but if the elections are held in a fair manner, we are in a position to win at least 26 seats," Mr Ghosh told PTI. The state unit has already categorized the seats as 'A plus', 'A', 'B'and 'C' as per their prospects, according to another senior leader of the party. "The classification of the constituencies into four categories was done on the basis of five criteria - BJP's organisational strength, the demographic situation (number of Muslims, Hindu and Hindu refugee population), its organisational weakness, the geographical location and the potential of the candidate," he said. The party has kept Darjeeling and Asansol seats out of the survey's purview as it is confident of retaining them. Of the 42 Lok Sabha seats in the state, the Trinamool Congress bagged 34 seats in 2014, the Congress secured four seats, while CPI(M) and the BJP won two seats each. "We have identified 18-20 seats in north and south Bengal, where our chances of winning is as high as 70-80%. This study was done keeping in mind our performance in those seats in the last few elections," the BJP leader added. However, despite all its efforts, the BJP is still scouting for answers over its "inability" to constitute booth committees at all polling stations in the state. Mr Shah, during its visit to Bengal in September 2017, had sought booth committee formation at 77,000 polling stations in the state, but the party has been able to achieve only 75 percent of the target so far. "We have not been able to reach out to all the booths, especially the ones in minority-dominated areas. We have a support base, but no one is ready to man the booth committees fearing backlash by the Trinamool Congress. We hope things will change in the days to come," Mr Ghosh said.